We are currently in a fast paced real estate market in Ocean City. Good inventory is low and well priced properties that are in good condition are selling withing a few days of hitting the market. If you are currently in the market to buy real estate in Ocean City there are a few things you can do to put yourself in a favorable position to capitalize on a good opportunity. 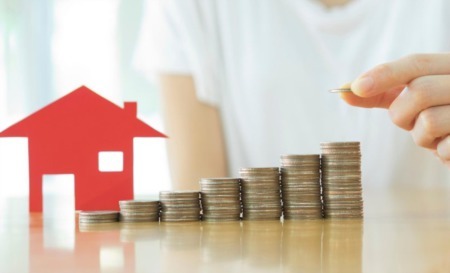 In the current market you have to be aware of the new listings and price adjustments for properties that match your specifications as soon as they become available, otherwise they may be gone by the next time you run a property search. 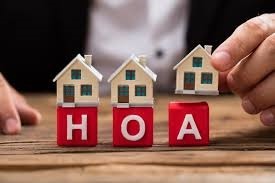 You can set these new listing alerts up on a variety of websites, however be aware that some are more accurate and do a better job than others. I provide my clients with a Property Updates Program and email them the new listings and price adjustments as soon as they hit the market. The listing data is pulled directly from the Ocean City Multiple Listing Service (MLS), which is the most accurate and timely source of property information available. This service saves my clients a lot of time and effort, while also ensuring they do not miss out on a good opportunity. If you are going to be financing your Ocean City real estate purchase securing a pre-approval letter from your lender ahead of time is a good idea for a couple of reasons. First and most importantly, Sellers and their agents are requiring that pre-approval letters be submitted with virtually all purchase offers. If a pre-approval letter is not included with your offer it can potentially delay negotiations and open up the possibility for competing offers to emerge. Secondly, securing a pre-approval letter upfront will ensure your potential Ocean City real estate purchase fits in with your overall financial strategy. Securing a pre-approval letter is a simple process and only takes a few minutes. Mike Cirrocco with Universal Mortgage would be glad to assist you with this and can be reached directly anytime at 443-235-9283. You will want to do as much research as possible ahead of time so you are in a position to make informed decisions once you begin looking at listings. If you are going to be renting your property you will want to look into rental histories and potential income for the properties that are of interest to you. 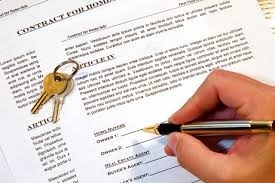 Your Ocean City real estate agent should obtain preliminary settlement statements for the price range you are looking in so you know what to expect in terms of closing costs. Finally, in order to get a good feel for values you should research what similar properties to the ones you will be looking have recently sold for. Doing this research ahead of time will put you in a position to make informed, confident and decisive decisions, which is what it takes to get a good deal in the current faced paced market. The agent you choose to work with can potentially have an impact on your transaction. If you choose a lacksidasical agent whom doesn't pay attention to the details you could lose out on a good opportunity, especially the better deals that have a lot of competition. You want to ensure you choose an experienced, full time Ocean City real estate agent that takes their business seriously. These agents will let you know immediately when a good opportunity becomes available and will have the necessary experience and knowledge to assist you in securing the deal under terms that are favorable to you. Additionally, they will have the necessary skills and systems in place to oversee your transaction from contract through to the closing. We would welcome the opportunity to assist you with this process. Feel free to contact us anytime at 443-614-9179.